Around 42 per cent use their own CRM systems and 28 per cent website content management systems (CMS). 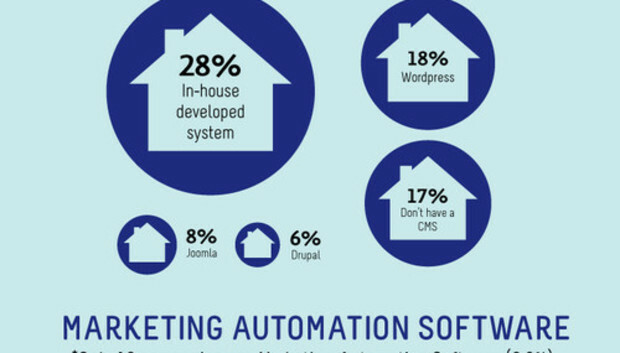 The report found that only 13 companies among the surveyed sample (around 3.8 per cent of the whole) used marketing automation software, and 46 per cent of them preferred Hubspot. The infographic below gives more details.